Comal is one of only three counties selected to receive a grant from the Texas Council on Family Violence (TCFV) that will be used to create a group of community and governmental agencies that can identify the most dangerous cases of domestic violence and intervene to prevent them from becoming lethal. Danielle Groff, who works for Tharp, will serve as the Domestic Violence High Risk Team coordinator. “In seeking to effectively and strategically roll out the Texas version of Domestic Violence High Risk Teams, TCFV partnered with the Office of the Attorney General in analyzing a few key jurisdictions for this project,” explains Gloria Aguilera Terry, the organization’s chief executive officer. Among the factors considered in awarding the grant were attributes contributing to success and the effectiveness of current coordinated community response? Domestic violence is a complex danger that creates a high-risk threat to families in Comal County. An estimated one in three Texans are affected by domestic violence during their lives. More than 100 Texas women each year lose their lives to domestic violence. Domestic violence cases are difficult to investigate and prosecute because they often span multiple jurisdictions, are extremely volatile, and can escalate very quickly. Despite law enforcement’s best efforts, the traditional approach to investigation is often inadequate to address the most serious domestic violence cases, and the consequences for failing to properly address these high-risk cases can be lethal, Tharp says. “A collaborative interdisciplinary approach is the only way to effectively combat these cases,” she says. Through the DVHT, local law enforcement and community groups assist in identifying high-risk cases by using lethality assessments at the beginning of a case. 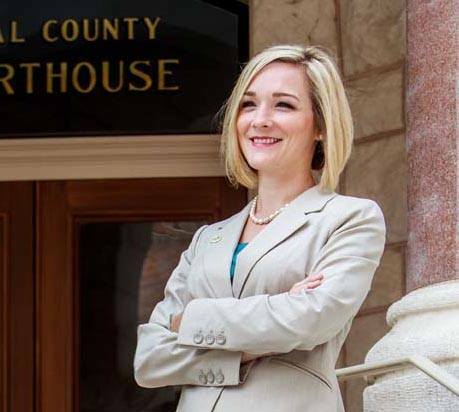 After law enforcement completes its investigation, the District Attorney’s Office initiates measures to ensure public and victim safety, such as filing for protective orders, seeking increased bond amounts or utilizing GPS devices so that Comal County Adult Probation can monitor high-risk offenders in real time. This collaborative approach allows for quick interventions that ensure victim safety while allowing law enforcement an opportunity to complete a thorough investigation, Tharp says.